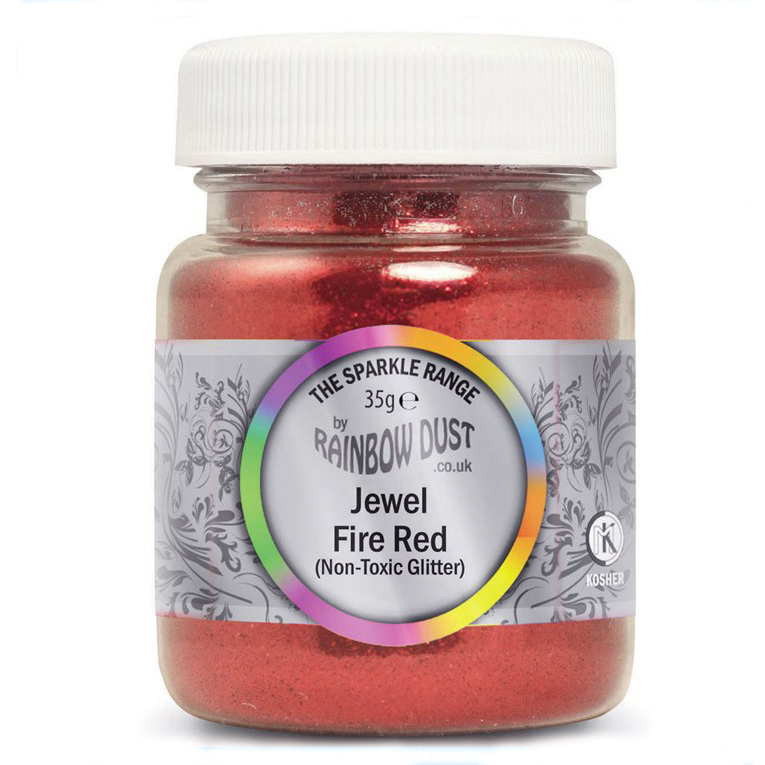 A variety of non-toxic glitters in a range of colours and sizes - Certain shades also available in Bulk Pots. 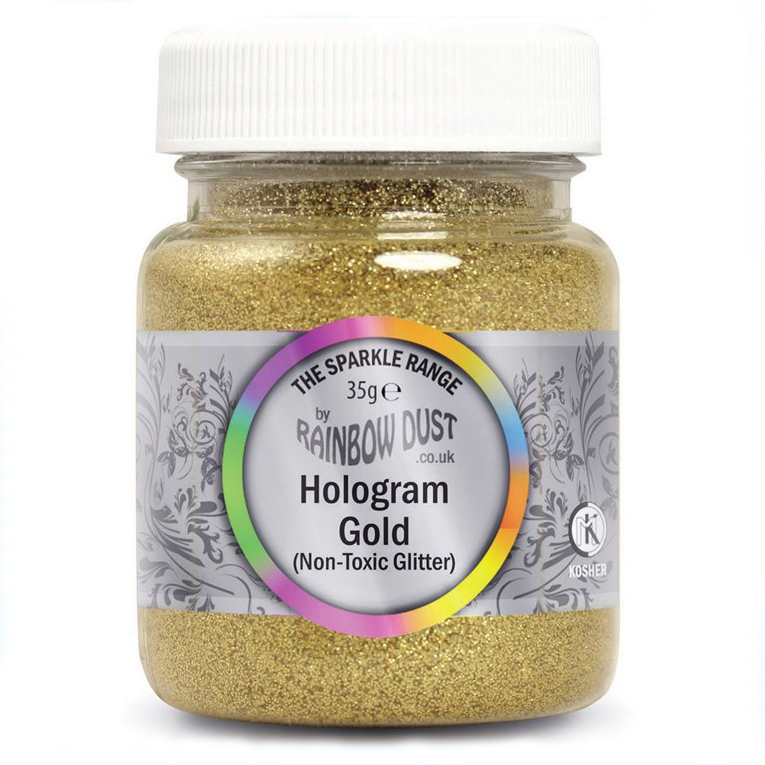 Although a "non-toxic" product, The Glitter is not classed as a food item and is intended for use on items that will not be consumed. 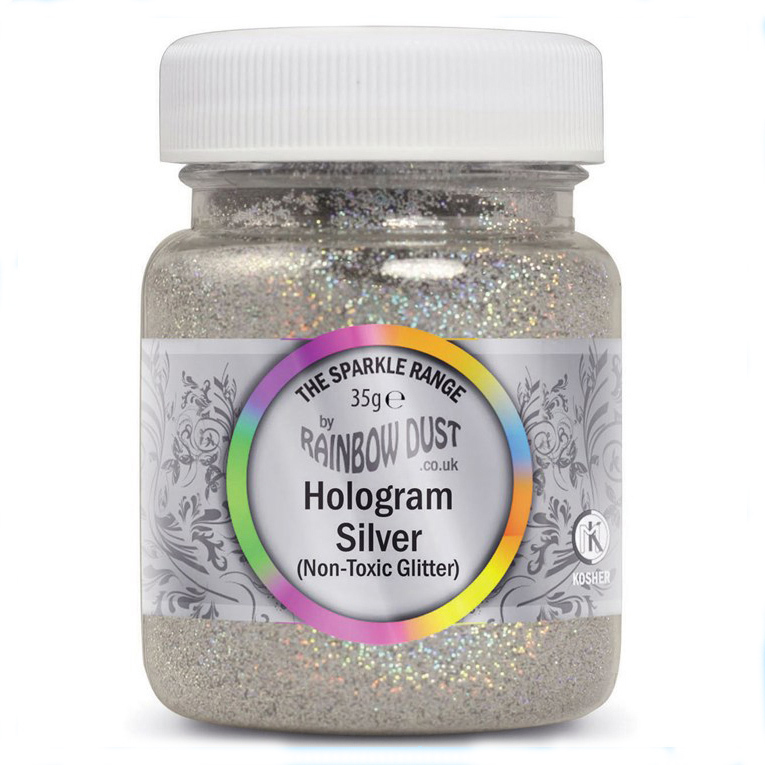 Non-toxic glitters can be used on sugar craft models or flowers, which would be removed from the cake and not eaten. Should any of the glitter migrate on to the cake and be eaten accidentally, it has been​ classed as non-toxic so poses no immediate harm.